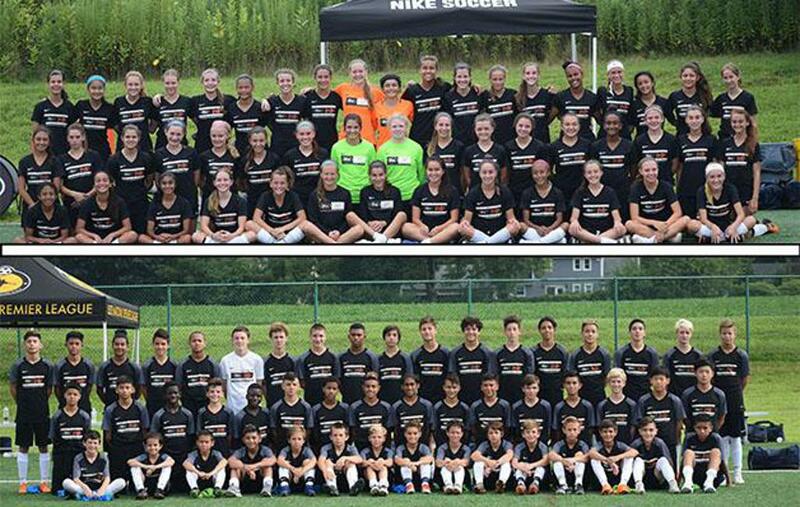 A total of 101 boys and girls players from three strong NPLs were identified and further developed in US Club Soccer’s first-ever National PDP Competition, held Aug. 10-12 at Westampton Sports Complex. WESTAMPTON, N.J. (Aug. 15, 2018) - A total of 101 boys and girls players from three strong NPLs were identified and further developed in US Club Soccer’s first-ever National PDP Competition, held Aug. 10-12 at Westampton Sports Complex. Top players from NorCal Premier, NYCSL and Virginia NPL were selected to attend the competitive three-day training camp based on standout performances in their respective league Player Development Programs (PDPs). After arriving to Westampton, the teams got their first taste of the competition on Friday, playing games against the two other teams before Saturday’s full day. Saturday saw the players participate in two sessions – another round of matches and an evening training session; the latter of which saw the PDP teams scrambled and divided into smaller teams where they rotated between brief games and drills. While Friday and much of Saturday saw each leagues PDP’s competing against one another, Sunday’s action allowed the players to train amongst each other, as the teams were re-shuffled into four new squads, which each played 40-minute matches before the camp’s conclusion Sunday afternoon. In US Club Soccer’s most comprehensive PDP to date, the players were also treated to presentations from id2 Boys and Girls Program Directors, Gerry McKeown and Tricia Taliaferro, respectively, who were on-site to evaluate talent for potential selections to id2 Training Camps. Those selected will receive invitations to upcoming id2 Training Camps to be held Sept. 27-30 in Kansas City and Dec. 6-9 in Casa Grande, Ariz.
Leo Garcia, US Club Soccer Vice President of Competitions and NPL General Manager, was on-site to oversee the event and the facilitation of PDP into the id2 Program. US Club Soccer has two upcoming PDPs to be held August 25 in Washington, hosted by Puget Sound Premier League and, hosted by Central States NPL, respectively. Both PDPs will target 2004-05 girls and 2005 boys. NorCal Premier and NYCSL also frequently hosts PDPs in their respective areas, as well as other robust organizations, including New England Premiership, Northern Illinois Soccer League and Elite Clubs National League.